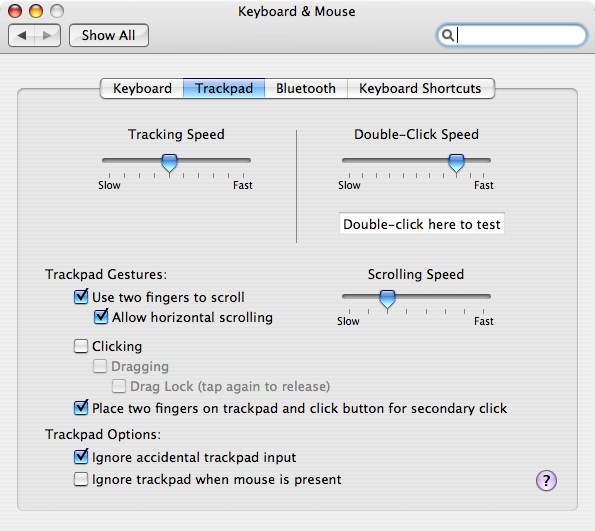 For you die hard control-clickers MacBook Pro users out there, with Mac OS X 10.4.7, Apple just updated the OS so that in order to produce a right-click you simply place two fingers on the trackpad and click. While not as addicting as two fingered scrolling, this is a welcome improvement and allows Apple to retain their iconic single button mouse without a significant loss of functionality. Could a three fingered click be next? Don’t count on it. Oh man, I’ve been trying to do that ever since I got my MacBook! 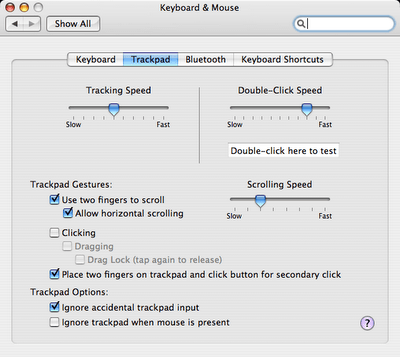 I finally curbed the habit two weeks ago…This is a great addition to an already smart trackpad. I love that it’s “opt-in” and it allows my least favorite of pointing devices to be more useful. I do not understand why apple did not introduced this feature in powerBooks and iBooks with 10.4.7 update. Is this only available on the MBP ? I tried this on my AlPB G4, and it didn’t work ( I have 10.4.7 ). Odd.I would think it wouldn’t be that difficult, after all, Firefox already allows you to simulate it in the OSX version. Tres weird.